Sale Sharks secured their first Anglo Welsh LV Cup victory this season when they beat the current Champion Harlequins 26-31 at the Stoop. 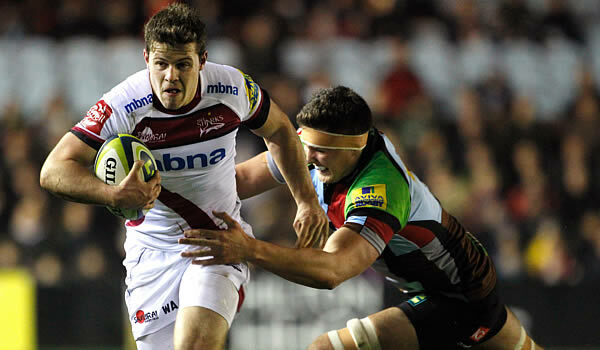 Sale ran in four tries past a weakened Harlequins outfit at The Stoop, with Danny Cipriani finishing the narrow win. Dave Seymour, James Gaskell and Rob Miller were the other scorers in a good away win for Steve Diamond’s side, who had new signing Viliami Fihaki sin-binned on debut. 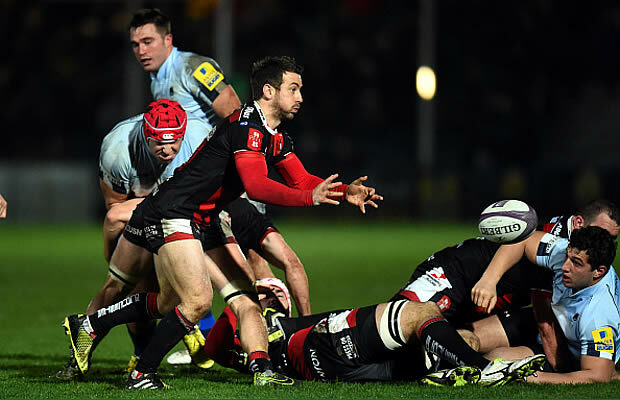 Harlequins’ points came courtesy of Ben Botica, who scored 21 including four penalties and an early try. Harlequins: 15 Tom Williams, 14 Charlie Walker, 13 Tom Casson, 12 Tim Molenaar, 11 Sam Smith, 10 Ben Botica, 9 Karl Dickson,8 James Chisholm, 7 Luke Wallace (c), 6 Joe Trayfoot, 5 Charlie Matthews, 4 George Merrick, 3 Mark Lambert, 2 Dave Ward, 1 Darryl Marfo. Replacements: 16 Harry Allen, 17 Nic Mayhew, 18 Will Collier, 19 Tom Guest, 20 Matt Hopper, 21 Sam Stuart, 22 Louis Grimoldby, 23 Paul Sackey. Sale Sharks: 15 Mike Haley, 14 Tom Brady, 13 Will Addison, 12 Mark Jennings, 11 Rob Miller, 10 Nick Macleod, 9 Dwayne Peel, 8 Mark Easter, 7 David Seymour, 6 James Gaskell, 5 Michael Patterson, 4 Jonathan Mills, 3 Henry Thomas, 2 Tommy Taylor, 1 Eifion Lewis Roberts.